It’s been a big week for Drones, in ACT1 we’ll tell you the latest on this growing new type of warfare. Plus the gift the courts gave to the telcos, and the latest in new cyber laws. 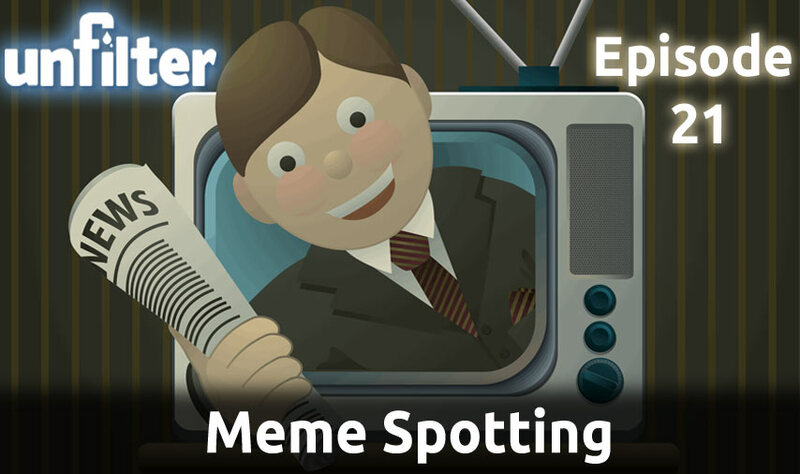 In ACT2: We go meme spotting this week, and unfilter the subtle ways the Industrial Media Complex applies pressure to public opinion. In ACT3: After hitting the episode 20 mark, we\’ve reflected a bit on the show and have a few thoughts, and a few questions for you. If you\’ve enjoyed this show, please stay tuned. All that and a heck of a lot more, on this week’s Unfilter! If you have a perspective from outside the US, and can contribute regularly on our voicemail line, PLEASE DO. We want to improve our coverage of events outside our bubble. Please be our boots on the ground. What kind of coverage do you want of the Pres election/race? Do you want us to cover big stories in the race that happen between now and the election? What would you like to hear from our debate coverage? Send in your thoughts on the tweaked host format. Good and bad.